Early this year, Safaricom made public its plans to set up a school that accommodates at least 800 gifted but economically disadvantaged students from all of Kenya’s 47 counties and provides them with unique education by 2019. The school, dubbed the M-PESA Academy, is a state-of-the-art, mixed boarding high school constructed under the M-Pesa Foundation and will be located in Mang’u Thika. The M-PESA Academy will cost Ksh 3 billion and is earmarked for completion in 2016, with the initial intake in January 2016. The school has now opened up applications to 94 pioneer students for the January intake. 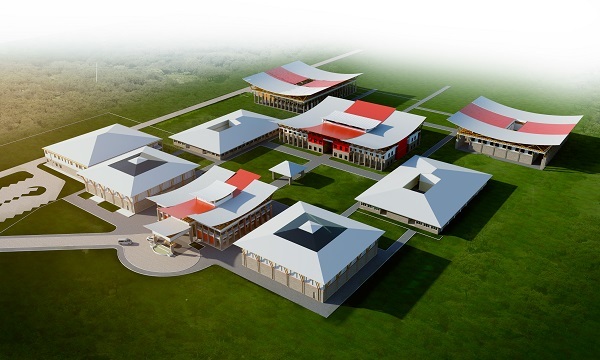 The school will operate on the same model as Starehe Schools. Other criteria to be used in short-listing will include leadership capabilities and responsible thinking. The school plans to employ technology to aid learning besides equipping students with technological skills to meet the future demands of business in Africa. It will also boast of sports, arts and cultural facilities. In addition to academic facilities, the school will also have an indoor sports hall, a sports field, running track, swimming pools, squash courts, a music centre and a 500 seat auditorium. Beyond preparing students to excel in KCSE examinations, the M-PESA Foundation Academy will redesign subjects taught so that they are delivered in diverse and exciting ways.